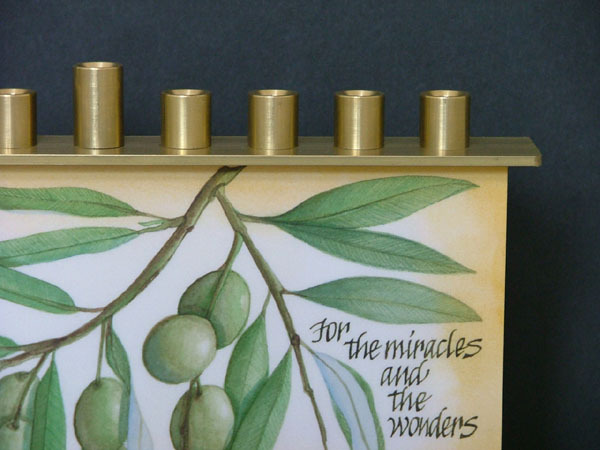 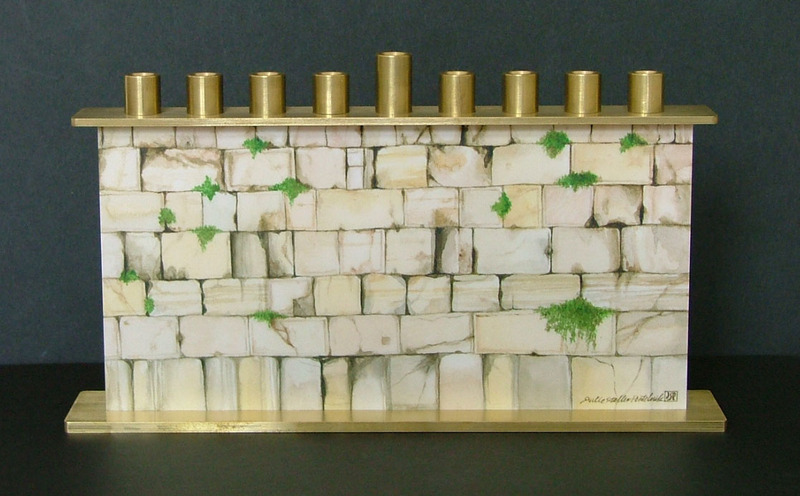 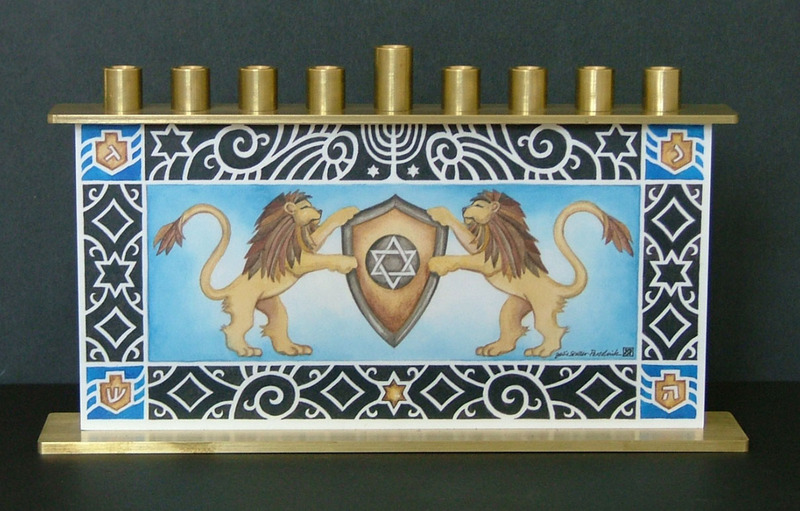 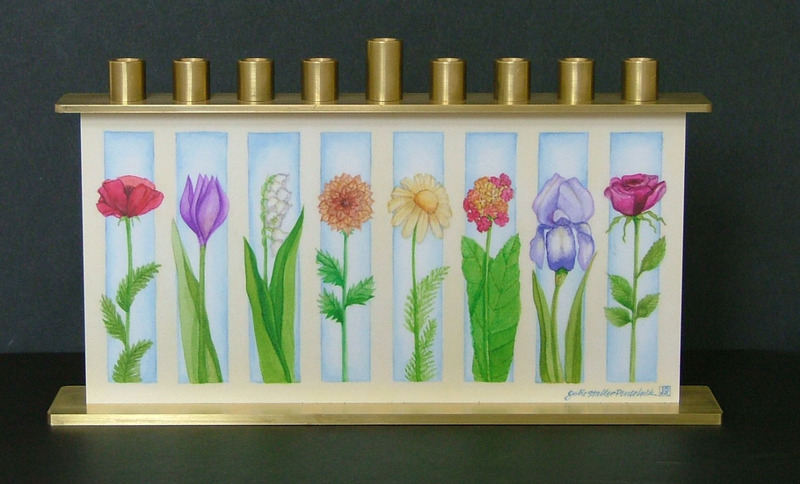 The design of the Menorah is an olive branch representing the pure olive oil that was found in order to rededicate the Holy Temple. 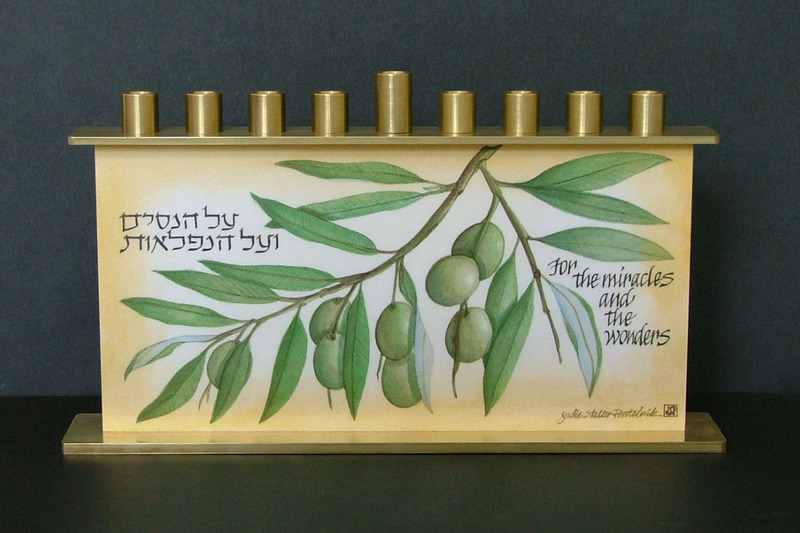 There are 8 olives on the branch representing the 8 days of Chanukah. 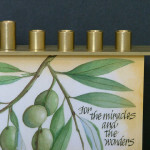 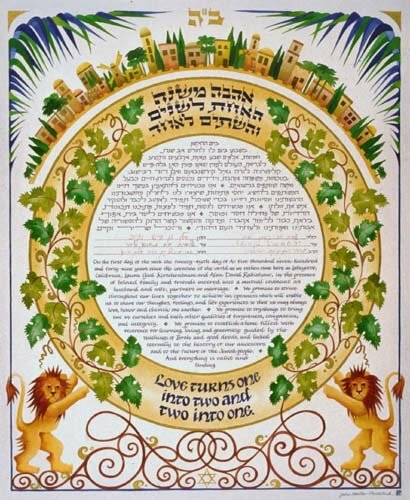 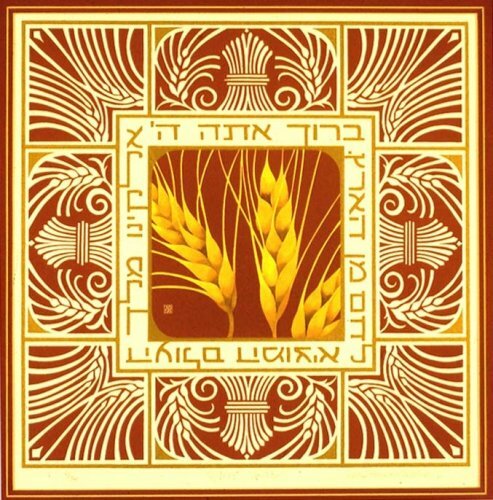 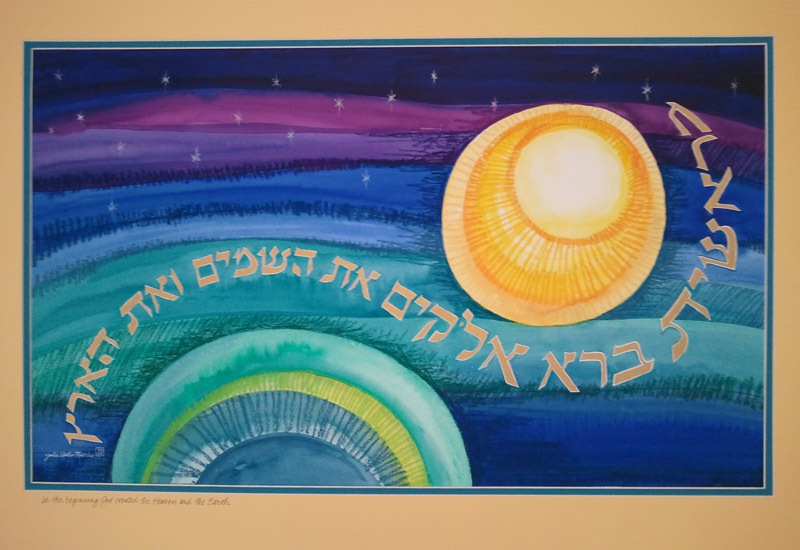 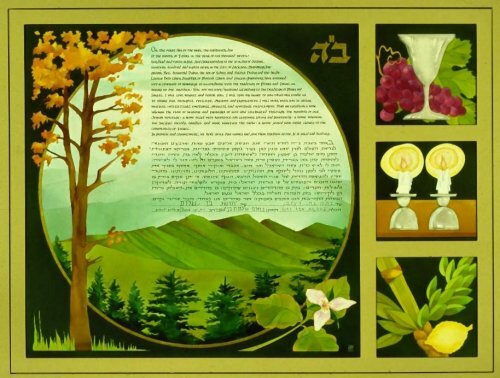 The quote on the piece, in Hebrew and in English is “For the miracles and the wonders” to express the miracle and wonderment of the discovered oil burning for 8 days, and also for the small army of the Jews reclaiming their Holy Temple.